The MidCal MINIs webmaster received an email regarding a casting call for Minis. The La Jolla Booking Agency is looking for Minis to feature as part of a touring musical company. 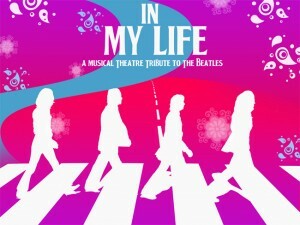 According to their email, they produce a national touring musical which retells the Beatles story. The show will be playing at the Visalia Fox Theatre on Sept 27, the Bob Hope Theatre in Stockton on Sept. 28 and the Redding Civic Center on Sept. 29. They are doing a co-promotion with the Shasta MINIs. Five MINIs will usher the actors/musicians who play “The Beatles” and “Brian Epstein” (the Beatles’ Manager) to the theatre (see press release below). The local ABC TV affiliate will cover the event. The band will also perform on Friday, Sept. 27 on KMPH Fox TV. 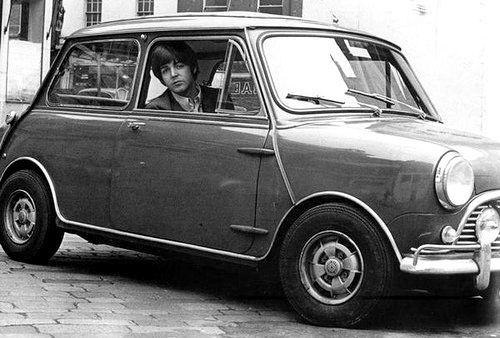 It is assumed (although we have not checked with the Agency) that they are looking for Classic Minis since the Beatles hit the scene in the 60’s. The Agency also inquired about whether a Mini Club might be interested in doing a co-promotion with the production provided that they were able to secure television coverage. So if any Mini Clubs or Classic Minis are willing to chauffeur the cast to the Stockton theatre, in addition to television coverage for your club, contact Andy Nagle at the number below as they would be willing to provide your club with a free full-page ad in the show’s program and a static ad on the theatre’s screens. REDDING, CA (08/12/2013) With the 50th anniversary of Beatlemania only a few months away, a British invasion will be re-enacted on the streets of Redding courtesy of a touring Beatles musical and a local car club. “In My Life”, the award-winning musical biography of the Beatles, will perform at the Redding Civic Auditorium on September 29 at 7 pm. 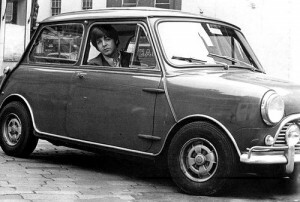 At 2 pm, the musicians and actors portraying “The Beatles” and their manager Brian Epstein will be ushered to the theatre in Mini Coopers driven by members of the Shasta Mini Cooper car club dressed in British style costumes. The Fab Four will pose for photographs in front of the Redding Civic Auditorium and a live performance of the band will be aired in the 2 pm hour on KRCR TV Channel 7. 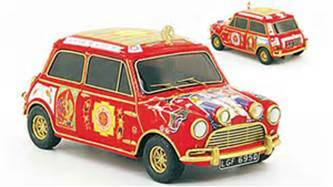 Among the chauffeurs will be Redding Police Chief Bob Wilson, dressed as a British Bobby and driving a Mini Cooper police car.